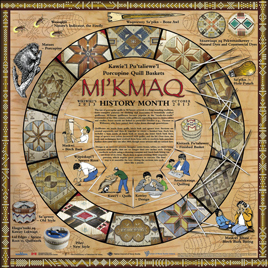 Treaty Day, (October 1st) marks the beginning of Mi'kmaq History Month in Nova Scotia as proclaimed in 1993 by then Premier John Savage and Mi'kmaq Grand Chief Ben Sylliboy. 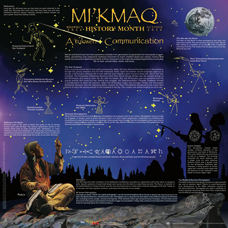 Its purpose is to promote public awareness about the Mi'kmaw culture and heritage for all citizens of Nova Scotia. A poster is produced and numerous events are organized throughout the month in recognition of Mi'kmaq History Month.